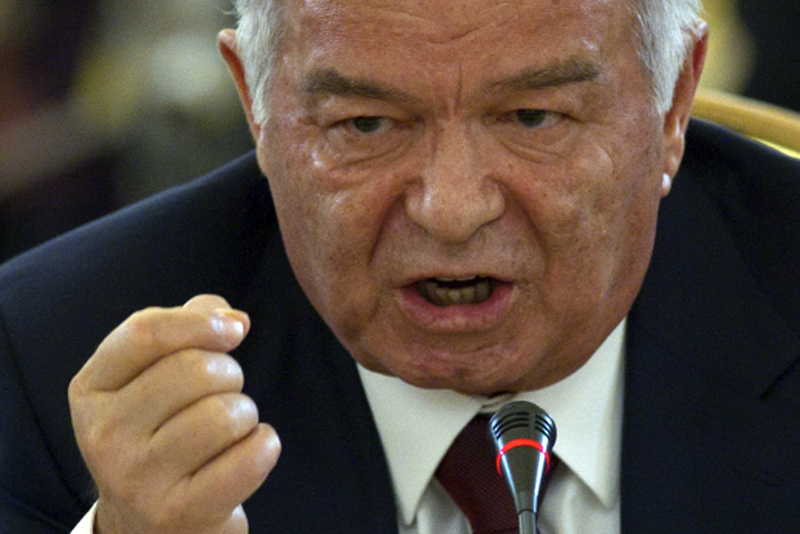 Uzbekistan: Will Karimov Get Blown Off in Windy City? It appears that Uzbek President Islam Karimov’s efforts to obtain a one-on-one meeting with US President Barack Obama are coming up short, an informed source indicates. Obama's preliminary schedule for the upcoming NATO summit reportedly does not include individual meetings with any of the Central Asian leaders who are planning on attending the event. Uzbekistan is a key cog in the Northern Distribution Network (NDN), a web of air, road and rail links in Central Asia that currently serves as the primary supply line for US and NATO forces in Afghanistan. Seeking a PR boost for his regime -- which rights groups assail as one of the world’s most repressive -- Karimov has tried in recent weeks to parlay Tashkent’s strategic importance into some private time with Obama when NATO leaders gather in Chicago on May 20-21. Karimov is one of several Central Asian leaders planning to be in Chicago for the summit. A representative of the US National Security Council declined to reveal details of Obama’s NATO summit schedule, and the Uzbek Embassy in Washington did not respond to queries from EurasiaNet.org. But a source familiar with day-to-day NDN operations reported that the word circulating in Tashkent is that the White House isn’t receptive to Karimov’s overtures. It now appears the best Karimov can hope for is a brief “grip and grin” photo op with the American president. The Uzbek lobbying effort to gain a Chicago tête-à-tête has included a letter from the American-Uzbekistan Chamber of Commerce to the White House. In it, Chamber Chairperson Carolyn Lamm cast Uzbekistan as an economically thriving, politically stable and strategic partner committed to regional peace and security. The AUCC is a powerful advocate for Tashkent and for US business interests in the authoritarian state, as well as for contractors involved in the Afghan war effort. AUCC members include the top two US Department of Defense (DoD) contractors, Lockheed Martin and Boeing, entities that obtained $35.8 billion and $19.4 billion respectively in Pentagon contracts in 2010. Other AUCC members include helicopter-maker Sikorsky, a United Technologies company; Harris Corporation, a communications equipment company; General Electric and Honeywell; and FMN Logistics, a comparatively petite NDN logistics contractor. In 2010, United Technologies held defense contracts worth $7.7 billion, while Harris obtained contracts worth $3.3 billion the same year. To add pressure on the White House to relent to a meeting, Uzbek authorities reportedly dropped hints that NDN operations in Uzbekistan, specifically the coming job of withdrawing arms and equipment from Afghanistan amid a troop drawdown, could hit speed bumps in the event that Karimov’s hopes went unfulfilled, according to the source familiar with NDN operations. “Karimov is desperate for his face time [with Obama in Chicago]. If he doesn’t get it he’ll threaten to hold up or freeze [reverse transit] cargo,” the source said. A one-on-one meeting would represent a propaganda prize for Karimov, conferring diplomatic credibility on Uzbekistan and counteracting the Uzbek government's reputation for corruption and flagrant rights violations. “President Obama should not underestimate the importance a one-on-one meeting has for President Karimov, who is very eager, especially at this stage of his long rule, to re-write the narrative about Uzbekistan's atrocious human rights record and ensure his own legacy as an elder statesmen,” Steve Swerdlow, Central Asia Researcher at Human Rights Watch, said on May 2. Other rights advocates say the United States should be wary of granting even a brief photo op between Obama and Karimov. State-controlled Uzbek media could well spin a handshake photo as being the product of a private meeting, thus misleading the domestic Uzbek audience on the US government’s attitude toward Karimov’s administration. With it now appearing that Karimov will not get what he wants, US logistics experts are making contingency plans concerning the US withdrawal from Afghanistan. The Chicago summit aims to formalize NATO’s Afghan exit strategy. But how millions of tons of non-military items are pulled out of Afghanistan remains an open question: the level of Uzbek participation is an important variable. It could become a costly headache to withdraw equipment from Afghanistan if Uzbekistan makes things any more difficult than they already are on NDN. It would be cheaper for the United States and NATO to use a ground route through Pakistan, but that route remains closed, leaving the NDN as the easiest option. The United States and Uzbekistan signed a protocol last November covering the withdraw of equipment from Afghanistan via the NDN. US Transportation Command and other DoD agencies, along with military contractors, are developing transit solutions in the event of Uzbek non-cooperation, or in a scenario in which cargo moves but is hindered from traveling at normal or previously agreed rates, the NDN source said. Moving forward, US officials should keep in mind that Uzbekistan does not hold all the cards when it comes to the NDN, Swerdlow said. Not only should the US not give in on the matter of an Obama meeting, it should push back harder on democratization,” he asserted. Deirdre Tynan is a Bishkek-based reporter specializing in Central Asian affairs.